Australia's High Commissioner to India Harinder Sidhu welcomed the Australian Border Force's largest patrol vessel Ocean Shield in Chennai today. "Australia now operates the largest and most capable maritime surveillance and response fleet Australia has ever deployed." "This is the first time an Australian Border Force vessel is visiting India. It will deepen our engagement with India's civil maritime security authorities," Ms Sidhu said. Ocean Shield reciprocates the visit by the Indian Coast Guard Ship Sankalp to Australia in December 2014. In India, it will undertake operational activities with the Indian Navy and Indian Coast Guard to ensure safety and security across our maritime domains. Australian Border Force Commissioner Roman Quaedvlieg, who is accompanying Ocean Shield, expressed Australia's gratitude for India's ongoing cooperation to combat regional security threats. "Australia values our strong relationship with India. This visit provides an important opportunity to strengthen our cooperation and address maritime security threats including drugs and firearms trafficking, people smuggling, piracy and illegal fishing," Commissioner Quaedvlieg said. 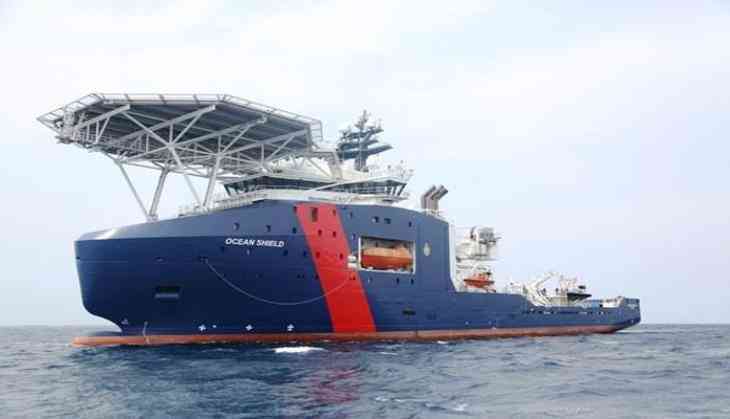 Ocean Shield is just one of Australia's extensive fleet of offshore vessels that conduct far-reaching patrols and respond to illegal activities including people smuggling, illegal fishing and transnational crime.